Your choice of a Insurance Repair contractor is a big decision for you. Alvin L. Davis, Inc. Remodeler is a State Licensed Residential Light Commercial Contractor. We are a home building professionals licensed since 1958 and offer full service insurance repair and property damage restoration. 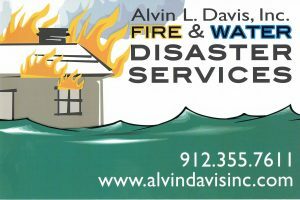 Our staff specializes in fire, water & storm damage restoration located in Savannah, Georgia. Our services include new home construction, remodeling, kitchen and baths, Alvin L. Davis, Inc. Remodeler also does mold remediation, structural drying and dehumidification for flood damage . Our office is not just a truck and cell phone number! We have been in the same physical location since 1971 and we own the building so we will not disappear overnight. Alvin L. Davis, Inc. Remodeler wants you to feel confident in your consideration of our company. We will try to help you understand the complexities of your property damage, the insurance claims process the mortgage company paperwork. We offer estimating services that will target your exact needs to repair your property to its pre-loss condition. Our insurance repair estimator know the language and terminology of you insurance adjuster. Alvin L. Davis, Inc. Remodeler knows how to negotiate your insurance claim to its maximum benefit. Here at Alvin L. Davis Inc. Remodeler, we’ve spent over 58 years building a reputation in Savannah by supplying personalized attention and professional representation that our clients’ claims require and deserve. We solely represent the interest of the insured in the adjustment of claims for fire, theft, windstorm, vandalism, water, and hurricane damage. We act as the constant advocate and advisor for our clients’ needs from the hours just following the loss all the way through the final settlement of their claims. As insurance repair contractors, we help you sort through the maze of red tape and get you back on your feet quickly by securing the loss site and reporting the claim, assessing and inventorying your damaged property, preparing and submitting detailed estimates to make you whole and other procedures required to obtain a proper settlement, therefore, allowing you to restore your property as quickly as possible. We specialize in fire, earthquake, theft, vandalism, hurricane, tornado, wind and water damage claims. When you incur a loss to your home and property, getting beyond your tragedy to a fair resolution can be confusing and filled with emotion. As insurance repair contractors and experts in our field, we take the guesswork out of the process and bring you peace of mind. Our staff brings decades of knowledge in construction, insurance claims and loss adjusting. We know the ins and outs of insurance policies and can navigate through time-consuming pitfalls. Your insurance company can supply you with their own in-house insurance adjuster who may seem agreeable in processing your insurance claim but, more times than not, he/she will prove inefficient in getting you paid for what you consider to be the fair value of your loss. The adjuster that your insurance company assigns to your claim is there to assess the damages that his employer will cover, using all the skills and tools available to ensure the least cost and inconvenience to the insurance company. Remember, your insurance company’s adjuster serves his/her company, not you and your needs or desires. Evaluate the cost to replace your home as covered under the policy terms. Analyze all insurance polices and pertinent documentation to your claim. Survey structural damage to estimate repair cost or replacement. Prepare a room-by-room damage estimate and description of the building with and photos of the damage. Assist you in creating a complete physical inventory of your contents, fixtures, furniture and equipment. 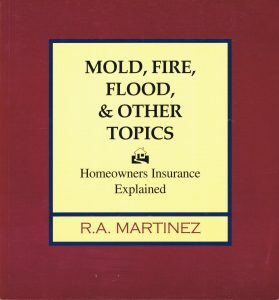 Establish agreements with the insurance carrier on the degree of damage and help set replacement costs. Present all claim projections to you first, for your approval prior to submitting insurance company adjuster, keeping you continually apprised of all developments in our negotiation with your adjuster. Meet with you to give status of loss, time and dollar projections, as well as opinion and recommendations when appropriate. Maintain a constant dialogue with the insurance company and make sure all approved measures are taken to ensure an equitable claim for you, while adhering to time requirements and conditions. Work with you and your insurance carrier to fulfill all your obligations under your policy. Expedite the claims process and negotiate a fair settlement on your behalf. You may rest assured that with Alvin L. Davis, Inc. Remodeler has the solution to your problem with over 58 years of experience. We value your trust and respect your opinion. Alvin L. Davis, Inc. Remodeler will thoroughly explain our plan to repair your property, answer all of your unanswered questions, and allow you to decide on your contractor with no obligation and no pressure. We work directly with you and your insurance company to ensure a fast claims process and help ease the additional stress and burden on you. You and your family get your life back and we handle all the details of rebuilding your property.